This month’s PresPoll asked about the effectiveness and the use of heritage conservation as a tool for a range of urban strategies. While we didn’t mention it in the survey, these possible roles for heritage conservation came from the New Urban Agenda, which will be adopted in Quito, Ecuador at Habitat III this week. We took language from five of the New Urban Agenda commitments that included cultural heritage and rephrased them for the survey questions. 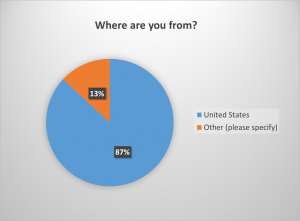 The majority of our survey respondents came from the United States, but 13% of the responses were international and came from Australia, Canada, India, Latvia, Mexico, Pakistan, Philippines, Russia, and Thailand. Here, the answers were quite different. 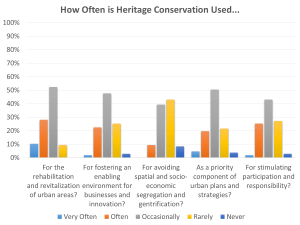 Fewer than half of the respondents reported “Very Often” or “Often” for the use of any of these roles for heritage conservation. 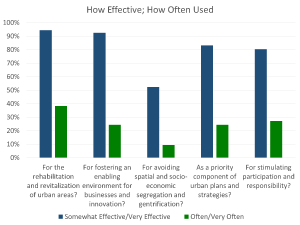 Where heritage conservation was perceived as the most effective – revitalization of urban areas – more than 90% of respondents called it somewhat or very effective, yet less than half that number reported that it was used as a tool for revitalization often or very often. 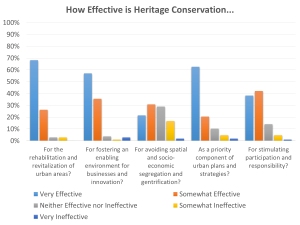 Likewise, three times as many people thought heritage was effective for fostering an enabling environment for businesses and innovation, then said it was frequently used. Similar disparities between “effectiveness” and “use” were found in the other three areas as well. 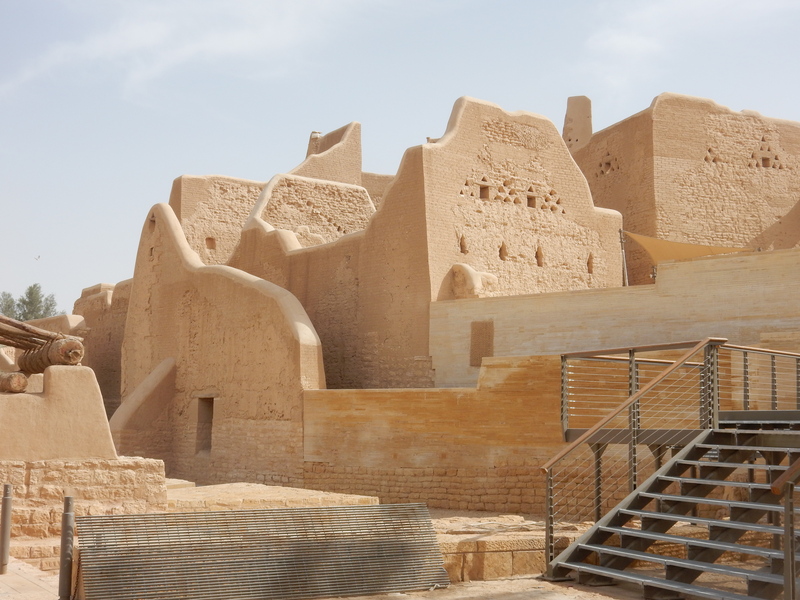 What does it mean when people are seeing heritage conservation as an effective tool for addressing a variety of urban issues but say that it is rarely being used for that purpose? It seems there are three possible answers to this disparity: 1) we as heritage advocates are simply wrong – heritage isn’t as effective as we think it is, so is not being often used; 2) heritage conservation is being used as an effective tool, and we just don’t know about it; or, 3) once again heritage conservation advocates have not effectively made the case that heritage is an effective tool, so decision makers simply are not using it. I suspect it is the latter. Which means, once again, that heritage advocates need to quit telling each other how great heritage conservation is and convince decision makers – preferably through quantitative and qualitative evidence – that heritage conservation ought to be a central tool in addressing a wide range of urban issues.